AverageBro: I Have A Podcast Now. Go Check It Out! I Have A Podcast Now. Go Check It Out! I know some of you are wondering where I went, or better yet, why there's 4 new posts here today in the midst of the typical cavalcade of ads. Well, you'll be happy to know that I'm gonna try (keyword: try) to revive the blog, and I've also got a podcast that I started with the homies UppityNegro and RiPPa, both of whom have contributed to the blog in the past. 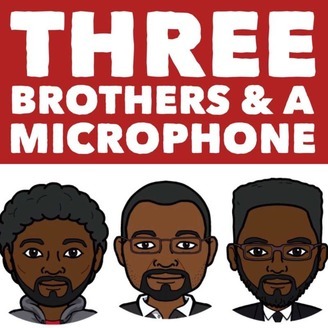 It's called Three Brothers And A Mic, and if I must say so myself, it's pretty darn good. You can catch it on Stitcher and iTunes. Subscribe, leave comments, and hit us up.